Even industries that otherwise seem perfectly safe involve a fair amount of processes in hazardous areas. Companies like soap producers may require workers to come into close contact with alcohol in scent perfumes. Food manufacturers may have operators working closely with explosive dust, placing them at risk of bodily harm. Of course, every industry has a number of cleaning operations that require maintenance workers to handle or dispose of dangerous materials, waste or otherwise, in an efficient and safe manner. In U.S. and Canada, Factory Mutual, Underwriters Laboratories, and the Canadian Standards Association are the organizations that together set the classifications, divisions, groups, and temperature codes for various hazardous gases and materials. Class I delineates environments where the air contains enough flammable gases or vapors to produce explosive or ignitable mixtures. Class II indicates hazardous environments with combustible or conductive dusts. Class III environments have ignitable fibers, but not in sufficient quantities to create a flammable mixture. In addition, as in the U.K., the standards categorize hazardous material in the surrounding atmosphere according to groups. Group A, for example, includes acetylene, while Group C contains carbon monoxide, ether, hydrogen sulfide, morphine, cyclopropane, ethyl and ethylene. What these safety ratings highlight for many manufacturers and plant facilities is the importance of proper monitoring to ensure adherence to safety in hazardous applications. 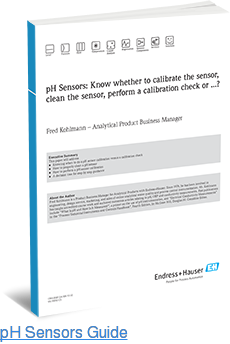 As a result, transmitters and indicators, such as those offered by Endress+Hauser, are mission critical tools for the safe operation of procedures with hazardous materials. 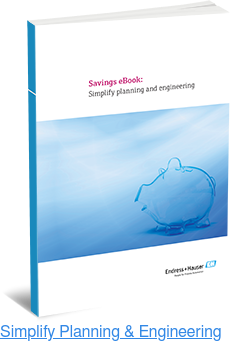 At Endress+Hauser, we are dedicated to helping manufacturers across industries all around the world operate safely and efficiently in hazardous environments. One of the most crucial tools necessary for hazardous applications is the transmitter. The RMA42 Universal Process Transmitter is one such essential product that monitors a variety of systems in a wide range of applications. Its universal design makes it ideal for many chemical industry applications.The RMA42 monitors signals for any violation for preset limit values, as well as signals from hazardous areas, signal multiplying, and differential pressure applications. The RMA42 process transmitter powers the transmitter or sensor, processing the signals which are monitored, saved, converted, and displayed. The transmitter then digitally transmits the signals, intermediate values, and calculation results and analyses. Endress+Hauser’s RID14/RID16 field indicators are also helpful in monitoring hazards levels. These indicators monitor measurement signals and display measured values, calculated values, and status information of the fieldbus users in a fieldbus network. These indicators can also be used in hazardous areas ranging up to temperature class T6. The right instrumentation is essential in constant monitoring of all processes in hazardous environments. 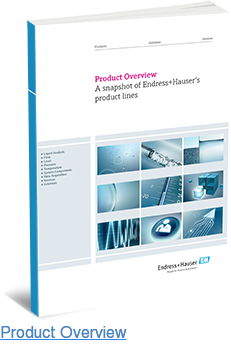 By always displaying proper levels across all applications, including temperature, gas, and other elements, Endress+Hauser helps ensure adherence to the highest safety ratings and procedures. Learn more about how Endress+Hauser transmitters and indicators can help you maintain safety in your next project.